Two days ago I found myself running around a park in Bilbao in 35 degree-heat chasing a virtual cartoon character on my phone. No, I hadn't eaten some dodgy mushrooms, I was with my kids. We were, in fact, chasing Pokémon Go characters. Having got caught up in the fun and frenzy of the new worldwide sensation that is Pokémon Go, I was sucked in by the hype and downloaded the app. Big mistake...huge! For those of you who have been living in a cave, blissfully unaware of the craze that has taken over the world, Pokémon Go is an online mobile game that involves a virtual treasure hunt to 'catch' characters in places like gardens, churches, police stations, museums, etc. The virtual map on your phone buzzes when a Pokémon is nearby and you then have to 'throw' a PokeBall at it in an attempt to capture it. 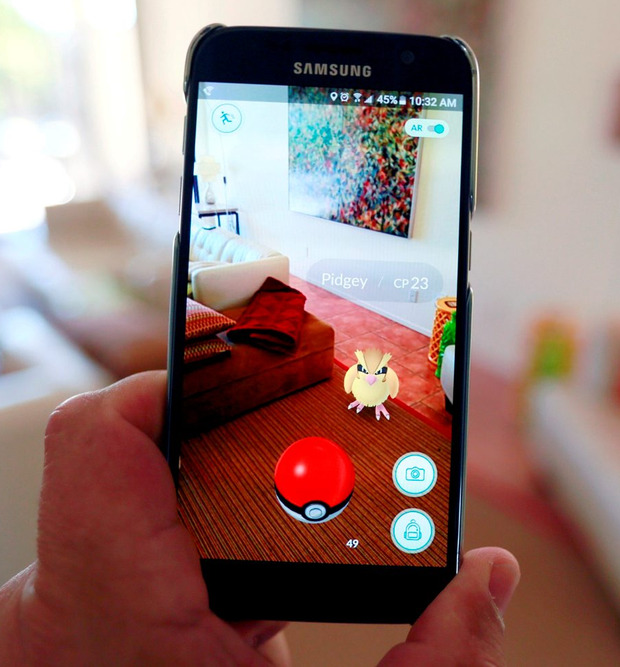 The game encourages players to walk around a neighbourhood to catch different virtual creatures. My 11-year-old assured me it would improve his orienteering skills and since its initial roll-out on July 6, the app already has more Android downloads than Tinder, and has surpassed Twitter in daily active users. But the problem with the app, only released in Ireland a few days ago, is that it is causing absolute havoc. People are crashing their cars while attempting to catch Pokémon. Pedestrians are getting knocked down because they're so busy staring at their phones. Police around the world are getting so concerned that many of them have released safety advice to players: Don't be tempted to take your phone out in busy or unlit areas where thieves could target you; concentrate on the road when walking and crossing; never play while driving and don't trespass to catch Pokémon. The last warning comes after two teenagers were shot at in Florida by a man who thought they were trying to rob his house. In Amsterdam, a hospital has pleaded with players to stop hunting for fictitious characters in the building after teens were found wandering around restricted areas. The Hospital tweeted: "There is indeed a sick Pokémon at AMC, but we'll look after him well. Please don't visit him," the hospital tweeted a picture of the Pokémon character Pikachu surrounded by tissues. Dutch Rail is so concerned by the hoards of kids walking across and along railway tracks hunting for Pokémon characters that it asked Nintendo, the makers of Pokémon Go, to change the game. Their appeals fell on deaf ears. The Auschwitz-Birkenau State Museum has had to come out and say that it does not allow people to play Pokémon Go on their smartphones during visits to the former Nazi death camp because it is 'disrespectful'. Museum spokesman Pawel Sawicki said its authorities are asking the producers to exclude the site from games. It doesn't get more offensive than people running around the mass grave of over a million people, chasing Pokémon. Nintendo needs to put a little more thought and consideration into the locations. Another worry is the opportunity the game affords paedophiles. It could be manipulated and hijacked by people with bad intentions. A spokesperson for the NSPCC said: "When creating these games companies must consider the potential risks to young users and do everything they can to make sure their app doesn't put them in danger." It is important that the manufacturers of these games help protect children by giving them safety reminders about privacy and location controls. It is also important for us as parents to stay aware of what our children are doing online and talk to them about how to stay safe. While they're chasing Pokémon, we need to chase them. But what about the positives? Pokémon Go is a game where you have to actually go outside to catch virtual monsters. Kids are being forced off the couch to go and find Pokémon. At this very moment, my children are running around the neighbourhood with their friends looking for Pokémon. As long as they don't stray too far, it's 'safe'. But the problem is that every kid wants to win, so they'll end up going the extra mile to capture a new character and that's where the trouble will start. I, for one, am thinking that my phone may have an 'accident' and the app may just have to disappear. I don't want my lot getting run down by a truck because they were too busy trying to capture a bright yellow virtual figure to look up.